physical problems, while they provide unconditional love and loyalty. Through interspecies telepathic communication, I can help companion animals to have a “voice”. I’ve learned how animals think and perceive the world. Together, we come to an “agreement” on many different types of issues, heal on different levels and promote a closer relationship between you and your pet. Healing can occur on an emotional, physical or spiritual basis. My dedication to animals has led me to communicate with them via telepathic means. As we communicate, I sense they are in need of healing in physical, emotional, or spiritual terms. Their “cries” for help lead me to study Reiki, Healing Touch for Animals (HTA), TTOUCH and Color Harmonics. have worked in the telepathic animal communication field for many years. I voice concerns for both living and deceased animals that want to be heard. I have studied Animal Communications under the direction of Dr. Agnes Thomas. I am a Reiki Master. Reiki is a Japanese method of healing; the term represents the Universal life Energy which is all around us. Applied for the purpose of healing, Reiki accelerates the body’s ability to heal physical ailments and opens the mind and spirit. The Usui System of Reiki is a natural healing art which uses Reiki in those ways. 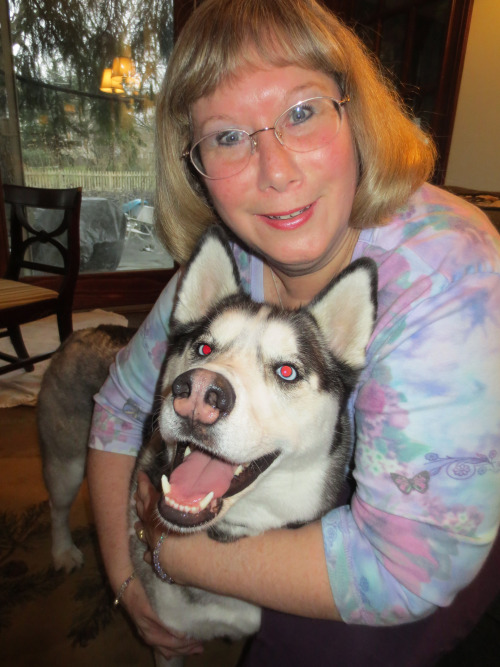 As a Telepathic Animal Communicator, Reiki Master, Healing Touch for Animals (HTA) and Color Harmonics Practitioner, and with my course work in TTouch, the services I provide come from years of love, training and dedication to our animal friends. Together we can help you and your animal companion become happier, healthier and improve his/her quality of life. You’re so cool! I do not think I have read through a single thing like that before. This website is one thing that’s needed on the internet, someone with somee originality! I would love to get in contact with you and bring my lil fella to see you. Hi Amy I do not do in person readings. I would not be able to tell where I was getting the message from you or your pet. I only take pictures to read from so I know I am getting my answer from the pet. You can email me at Dianefortheloveofanimals@yahoo.com with a photo of your pet, a list of questions, the amount of time you’d like me to spend and your phone number so I can call you with the info once I’ve performed the reading. Thanks ! We met at the Parma Shelter Festival and I bought your book about Hope. It was wonderful! I found it easy to relate to Rosanne and her feelings! Thank you so much Beverly…please add your comments about the book to Amazon or Barnes & Noble. I am running an offer of 3 free animal communication questions for any pet living or deceased if you place a sentence or two about the book on those sites. It has taken awhile to get back to you. Comments are on Amazon, I will email you! I am hoping it will bring us some peace. Diane, I would just like to thank you from the bottom of my heart. You truly have a gift and are such a special person. I feel so blessed to have found you! Anyone that needs healing for their pets or like in my case, comfort for myself, I will always recommend you. I can’t begin to let you know how much better I feel after speaking with you and my own healing process has greatly benefited. I just wanted to share this on your page so anyone that looks at your site can see how wonderful you are. I’m sure I’ll be calling on you again in the future to “check in” on my animal babies-living and deceased. Thanks again!